Your love story isn’t like anyone else’s, so your wedding isn’t either! That’s why I won’t try to stuff you into some pre made fluffed up package. Tell me about your wedding and what the most important moments are for you on your day. Than we’ll talk about engagement Sessions, additional shooters and albums. Base pricing starts at $1950, and my couples spent on average anywhere between $2700-$3500 with me! Every Wedding with Johanna Dye includes…. Print Release so you can Print your Images as many times, wherever, whenever you want! Are you ready for me to customize a package for you? Oh that right there? That’s me - live and in action. For the past 4 years, I have been serving Fayetteville, North Carolina and the East Coast. In August 2019, me and my husband will be moving to Hawaii and I will start serving the Hawaiian Islands starting in September 2019! I am so super excited about this new adventure in paradise and serving all of the Hawaiian Islands! I am already booking Fall 2019 and 2020 Wedding for Hawaii + the West Coast, so make sure you contact me to secure me for your wedding date! Will we get every Image? I don't withhold any great images from you or cut you off at a certain number. The only thing that gets kicked out of your Gallery are doubles, blurry or unusable Images. My motto is quality over quantity, but I would never withhold a great image from you. My job is to curate amazing images for you, so that you are neither overwhelmed nor dissatisfied. How do I book/start the booking process you? Send me a message here, fill out the contact form and tell me all about you. The more details, the of a better quote I can give you. Perfect match? Pop the Bubbly! All you need is a retainer of $800 and a signed contract and I am yours. Everything is online, from payments to contracts - Super easy! After that, I will send you a Wedding Check list to keep you on track, we’ll plan your engagement session, I can help you with vendors or anything else that you need. I got you! 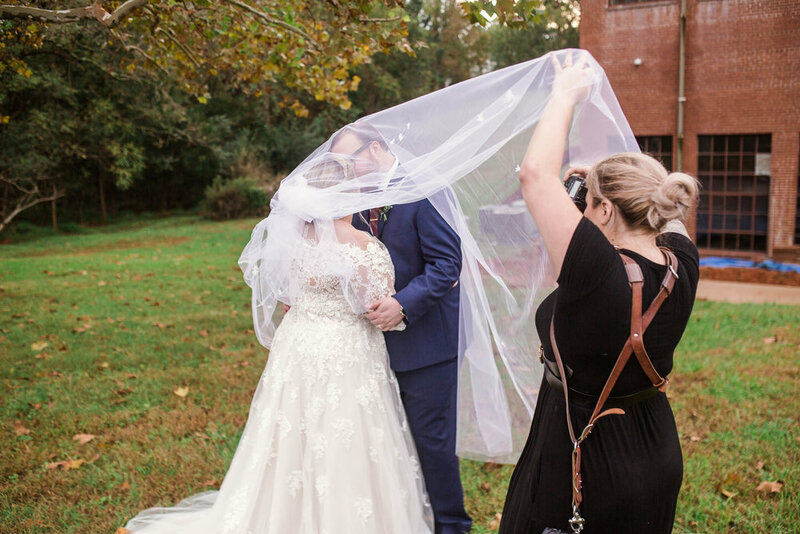 You didn’t just hire a photographer - you just got yourself a new best friend in the wedding industry! How long will it take for us to see our Wedding Pictures? I hate waiting, so I don’t want to make you wait. You will get a small preview on Facebook/Instagram within 48 Hours of your wedding, than a larger preview (blog post) within 3 weeks. My average turn around time to get your full Gallery back to you is about 6 weeks. Can we see reviews of previous couples? Of course! Click here to see my reviews on the Knot and here to see my reviews on Facebook. My Partner hates having his picture taken! I have met countless people that hate being in front of the camera - myself included. Ironic, isn’t it? But this isn't the JC Penny-cheesy-smile-Photo-Studio experience from your childhood. While giving you guidance on poses, put you in the right light and give you something to do with your hands (because we never know what to do with those), I also love to have you interact with each other, make you laugh naturally, give clues, and make really dumb jokes, send you off on adventures and before you know it, it's already over and you have beautiful and candid images - super painless + fun! Have you shot at (Insert Venue)? There are hundreds of Wedding Venues and while I have quite the chunk of weddings under my belt, I still shoot at new Venues every year. But that's no problem - I arrive early on your wedding day to walk around the place and get a feel for it, check the light etc and scoop out great shots. I also do my research online. That way, combined with years of experience I can make basically any venue work for me! Yes I am, and I highly recommend all of your vendors are. Being a legal business is not just a good idea for tax reasons but also to protect you as the client. Through equipment and liability insurance, I am protecting myself and you. By being a licensed + legal business, I show that I take my job and my business seriously. I do! I work with an amazing professional printing lab that provides wonderful products like prints, canvases and more! You will be able to order these through your online gallery through which your wedding pictures will be delivered. For weddings albums, please contact me so we can design them together! I’d love to answer them ALL!